Here is some important news for anyone who cares about their dental health: periodontal disease, or gum disease, is a primary cause of tooth loss among adults. There is also evidence that it is linked to heart disease. Koch Park Dental in Florissant provides gum disease treatment. We hope you aren’t noticing any of these things. 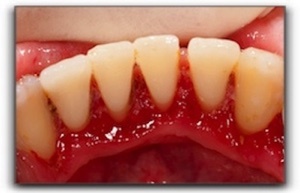 If you are not removing plaque between your teeth, however, your gums are at risk. Brushing alone is not enough—make sure you floss daily. Regular check-ups at Koch Park Dental is another critical weapon in the fight against gum disease. At Koch Park Dental in Florissant, we take pride in caring for our patients and want them to have a healthy and beautiful smile. In addition to gum disease treatment, we provide general dentistry. Schedule an appointment with us today.